For a monitor to display the view transmitted by a computer it needs to be connected to it. Today it is done most often by SVGA. 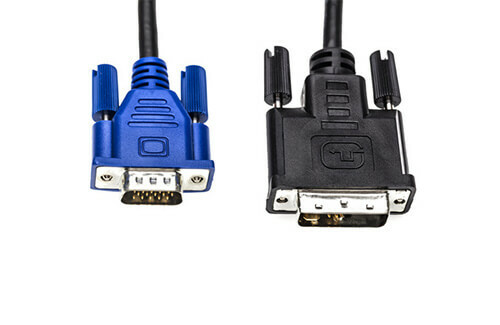 A characteristic blue plug of a typical shape is compatible with any CRT/LCD monitor – that is why which monitor cables are fully universal products. MCI offers high quality SVGA cables. Any of them is made in a highly controlled environment and according to strict quality standards. That is why they are dedicated not only for use with home or office multimedia equipment but also for industrial use. transmitting a video signal from a computer to a TV set). Our monitor cables can also be used for professional CCTV monitoring systems, as well as for other professional uses. 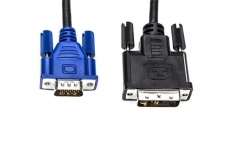 Why our monitor cables are worth ordering? 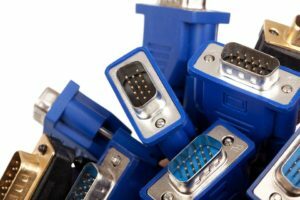 MCI is an experienced cable manufacturer, which has been operating on the Polish as well as on the European markets for years. We offer a full range of cables and wires, including patch cables, spiral cables, camera or monitor cables. has reliable endurance – it ensures undisrupted data transfer for many years. MCI offers a wide range of monitor cables of different lengths, used for house, as well as professional equipment. We can also accept orders for cables manufactured on request. You can learn the details of our offer from our consultants. Please, contact us via telephone or e-mail.